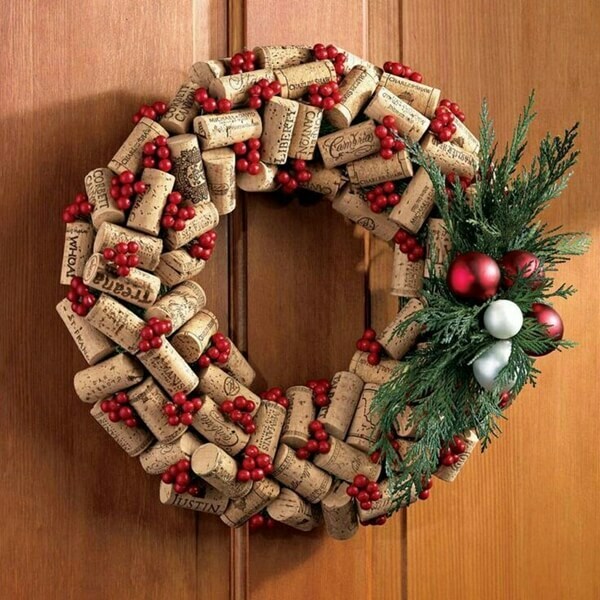 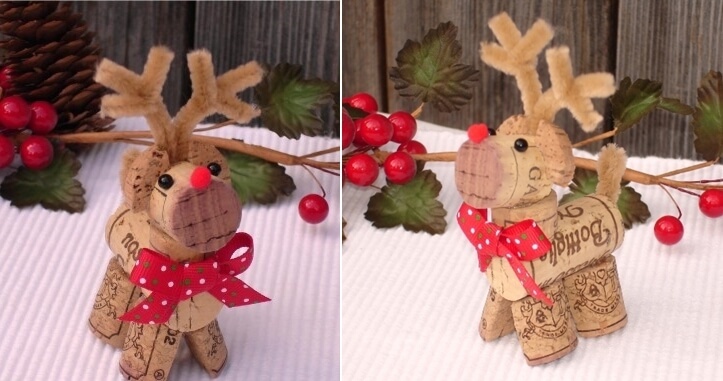 The feel of Christmas is already in the air and here is a cute idea by Moms Menu Planner where old wine corks are converted into a reindeer. 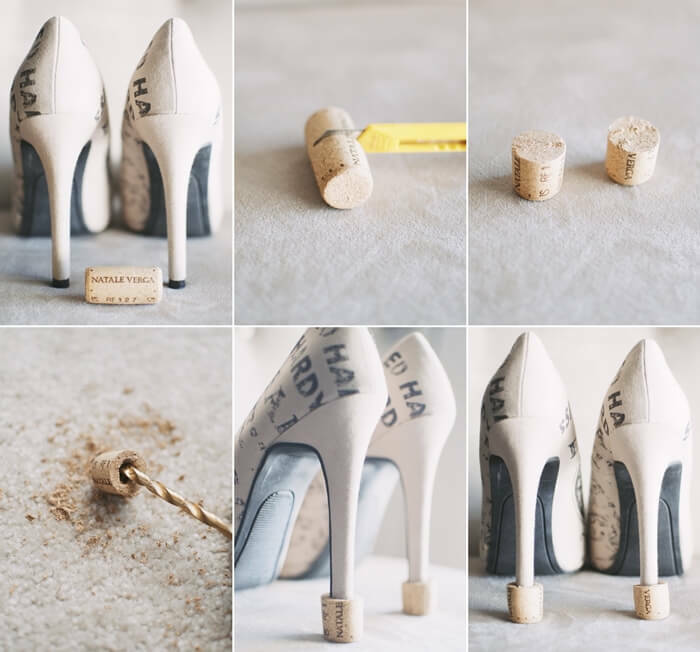 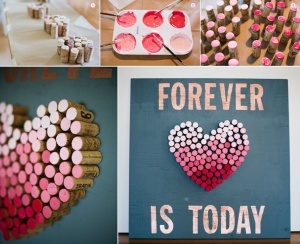 Green Wedding Shoes blog has shared an ombre wine cork heart that was exclusively crafted for a couple’s wedding who are wine lovers. 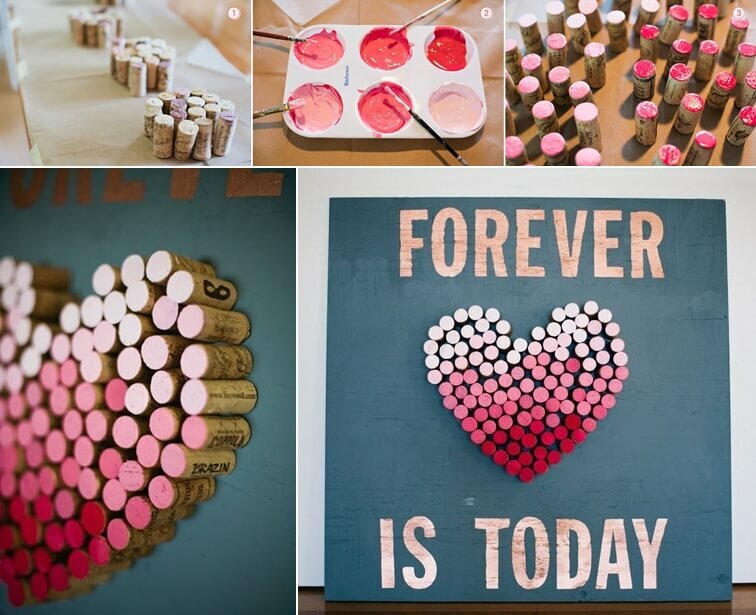 Such a lovely artwork it is! 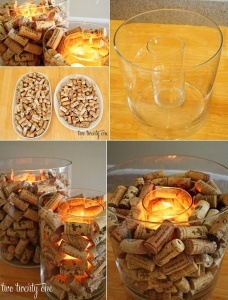 Chelsea @ Two Twenty One recycled wine corks into wonderful candle holders. 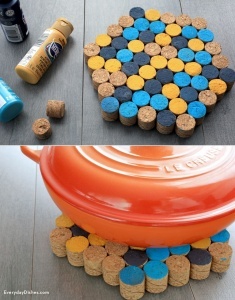 These can make absolutely stunning centerpieces for a party or wedding. 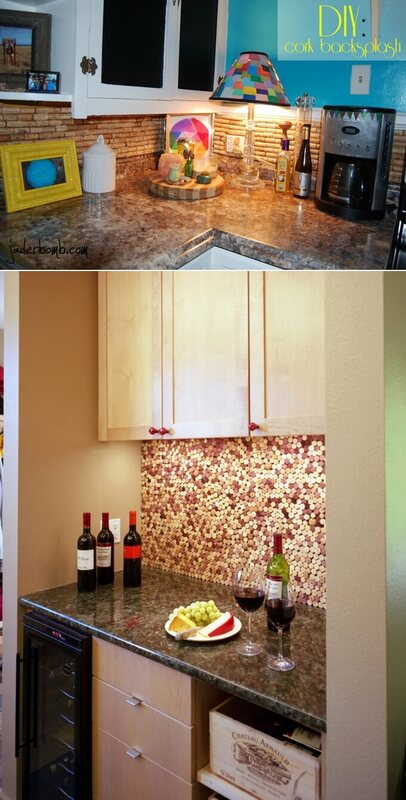 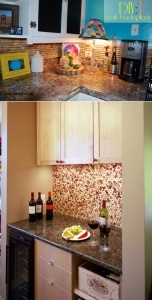 The golden light of flames looks just fabulous with the woody texture of corks. 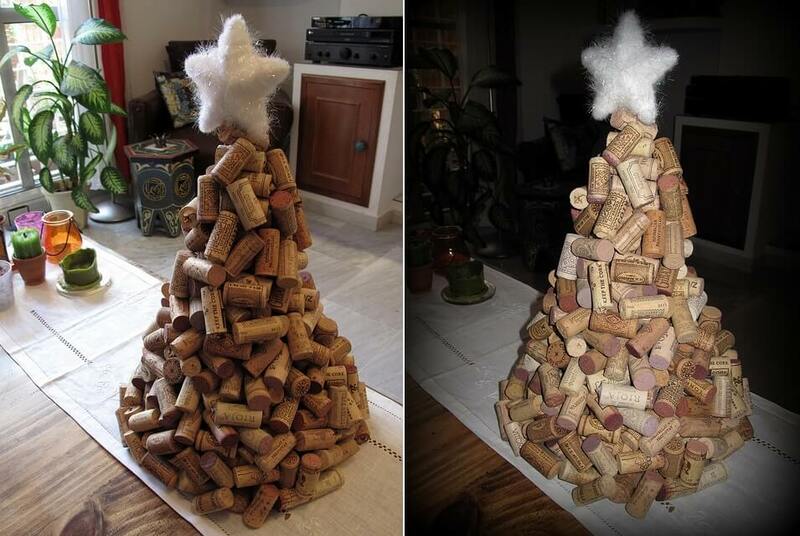 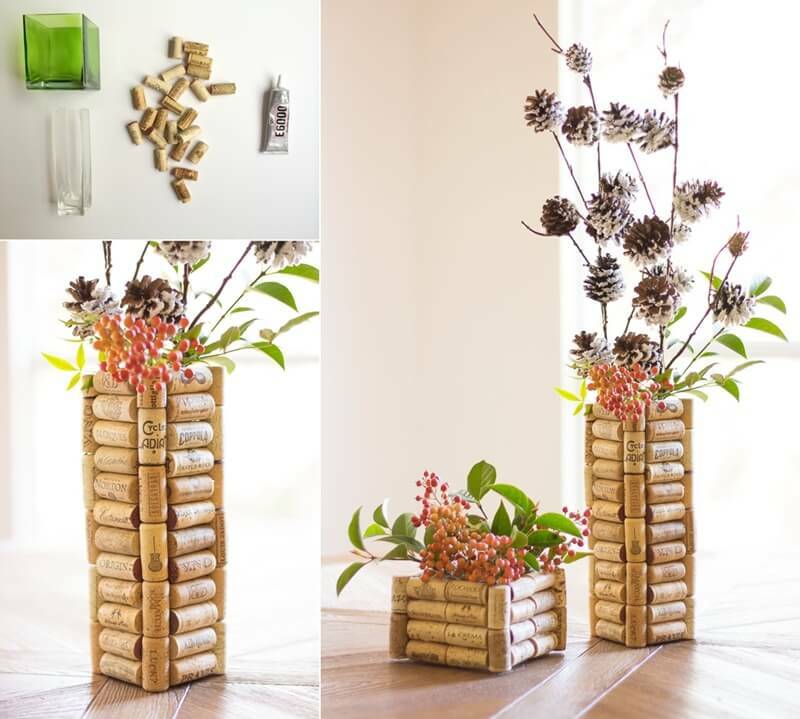 Haeley at Design Improvised created these wonderful wine cork covered vases. 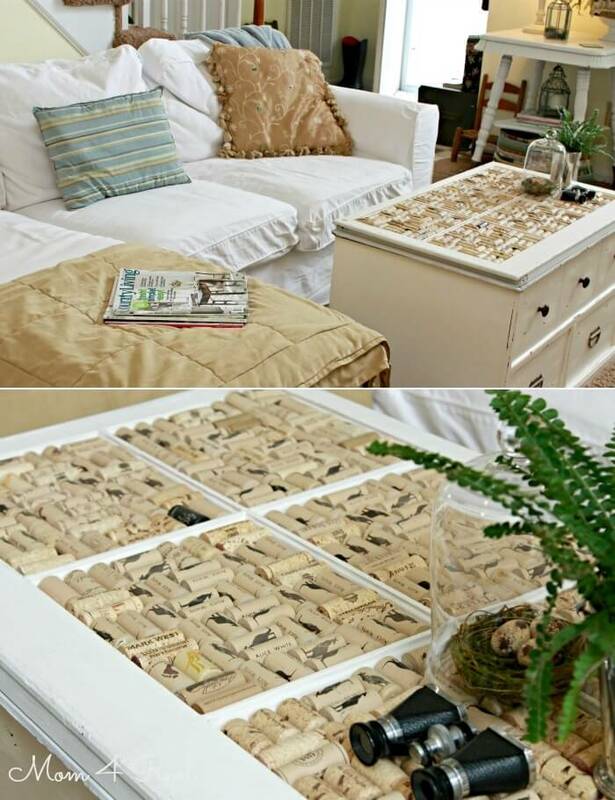 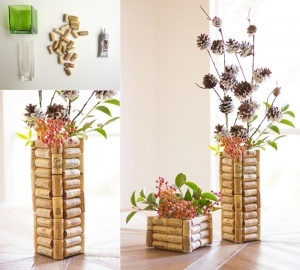 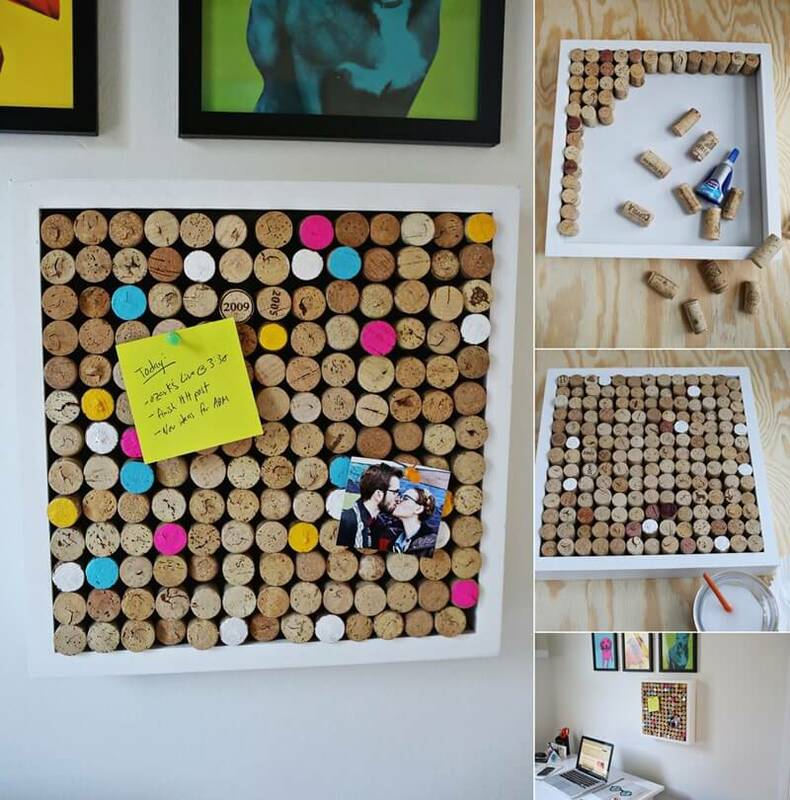 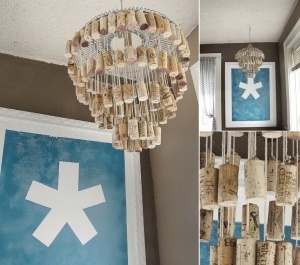 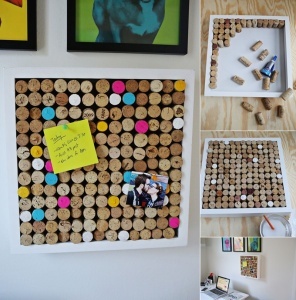 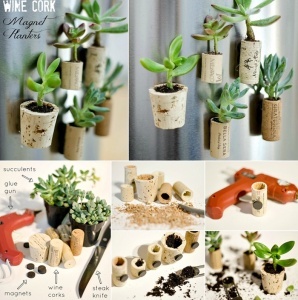 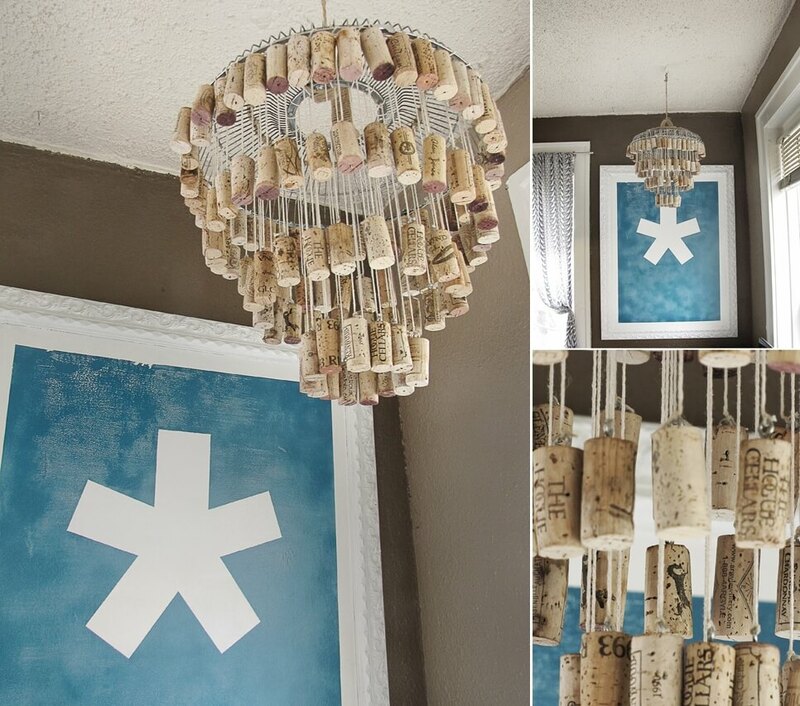 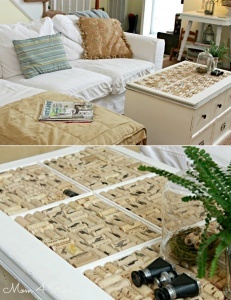 She used a heavy duty adhesive over rectangular and squares vases to glue the corks. 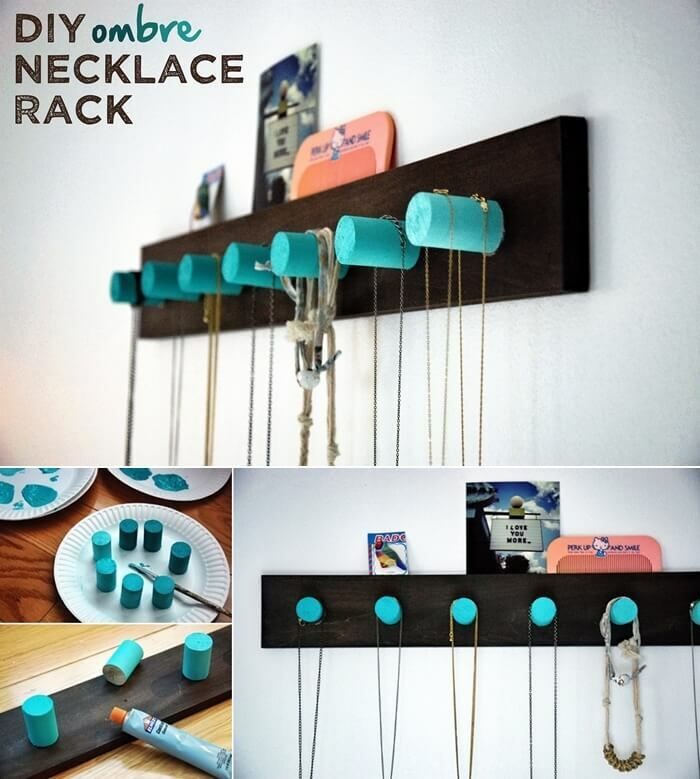 Everyday Dishes has shared a way to make a trivet for your pots and pans by hot gluing together painted slices of wine corks. 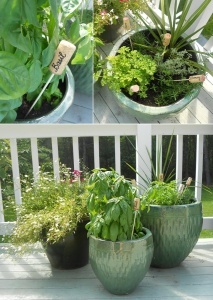 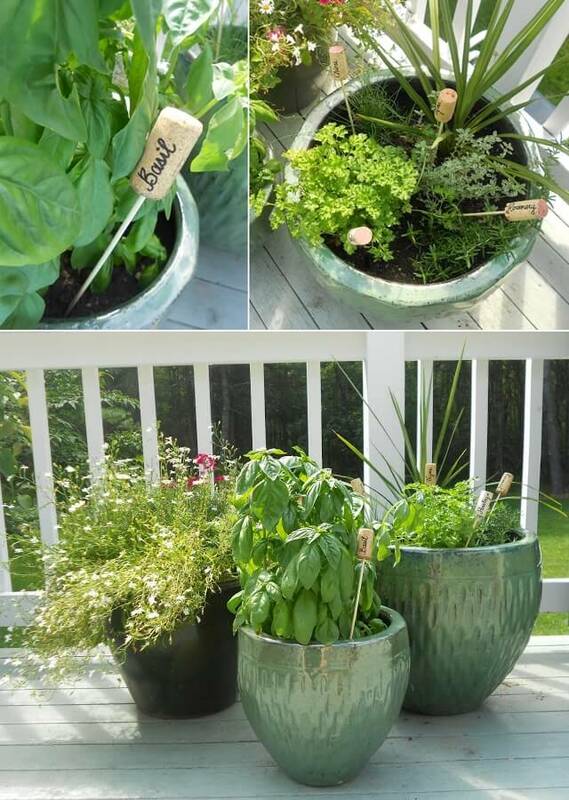 Lisa at Shine Your Light Blog has shared a cool way to make herb garden markers. Simply write the names of the herbs on wine corks with a sharpie marker and then poke in a wooden skewer in each cork and voila! 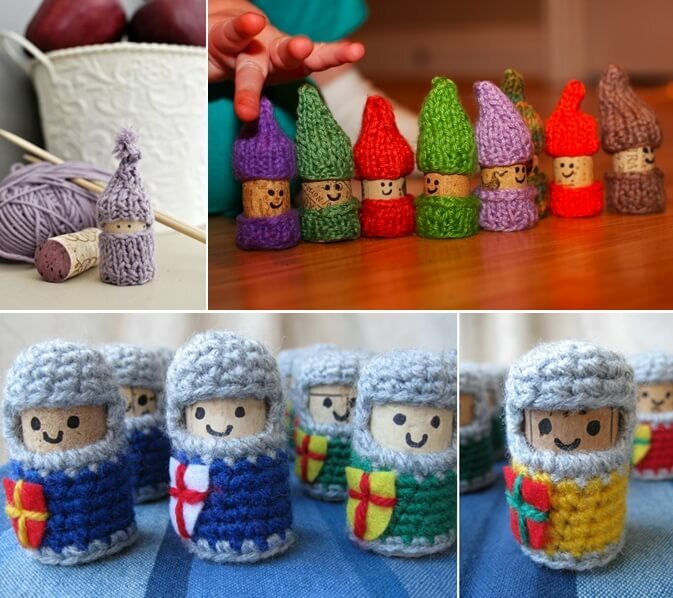 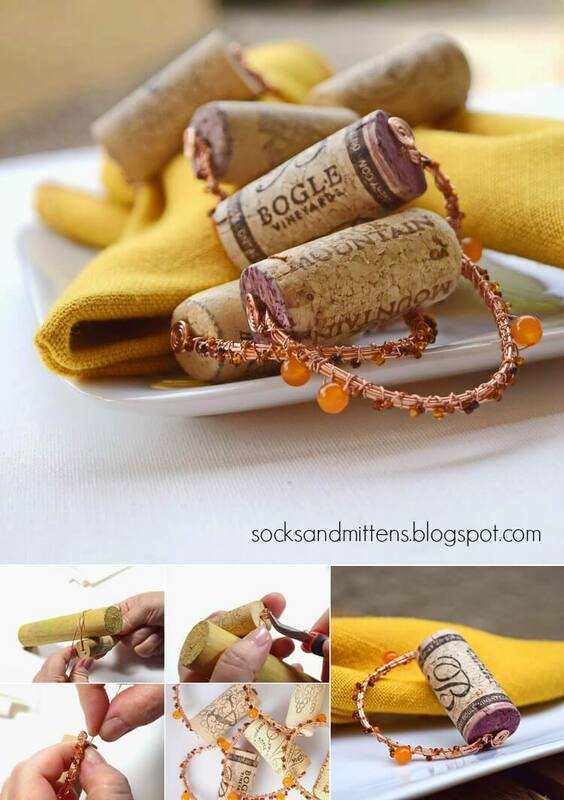 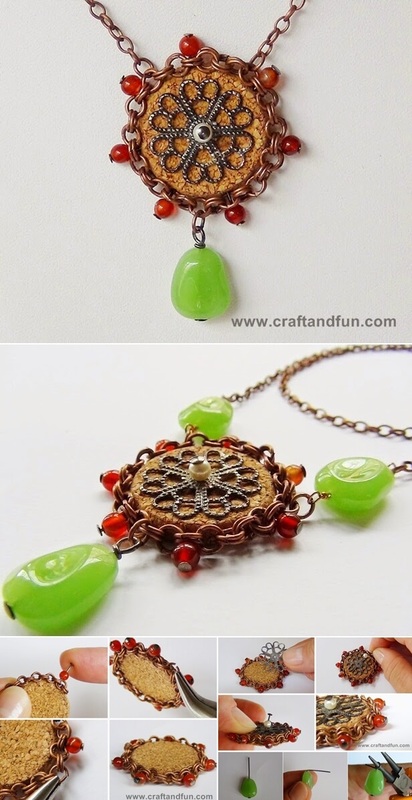 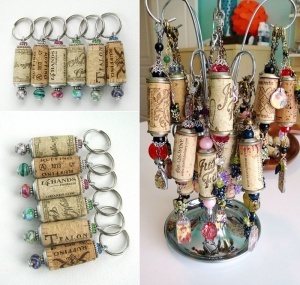 Socks and Mittens has shared a cool way to make napkin rings with wire, corks and beads. Just amazing! 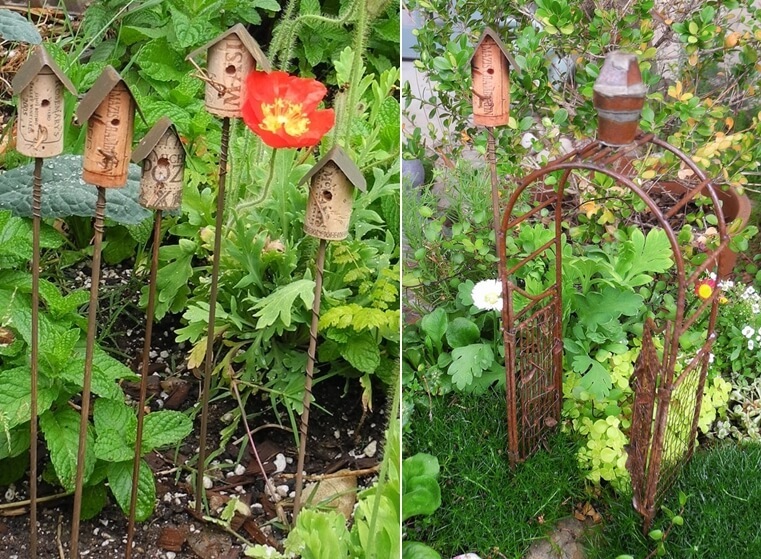 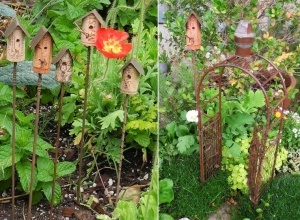 Tina Sitty Bitty Garden Etsy Shop has created these super cute birdhouses from wine corks that look just so perfect in this garden.